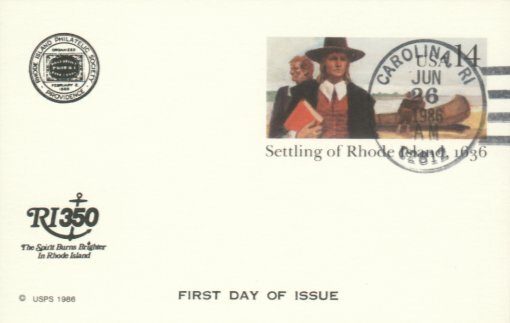 The first Post Office at Carolina (Carolina Mills) was established on May 27, 1850 under Postmaster Bradford Kenyon. 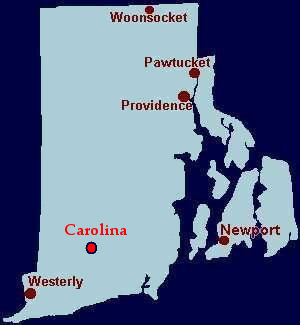 The post office was disestablished on December 30, 1879 and renamed the Carolina Post Office The first Carolina Post Office, (Richmond Township, Washington County) was established on December 30, 1879 under Postmaster Joseph. H. Babcock and disestablished on November 16, 1895 with mail going to Wood River Junction. 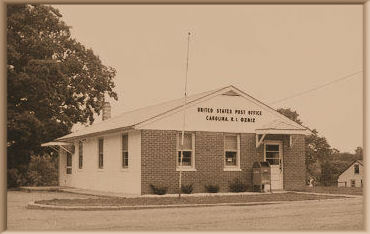 The second Carolina Post Office was established on December 6, 1895 under Postmaster Oscar E. Barber. The post office is currently in operation under Postmaster Joseph Gerard Forchione appointed on January 8, 2005.